Important win for our 2nds ! Great work from a lot of people in the buildup to this match, in particular 2nds coach Mike Storey, ..
Tough day for our Seconds and Thirds today who went down to Shannon and Richmond respectively. Diffi..
Just one game this weekend. 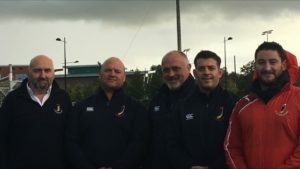 On Thursday evening @ 19.30 Munster Senior Seconds League in UL4GUL BOHE..
Senior coaching team welcoming Mike Storey on board as head 2nds coach for the 2017/2018 season with.. Junior Cup scheduled for tomorrow Sunday, 10th January v Fethard, has been conceded. Ul/Bohs play th..